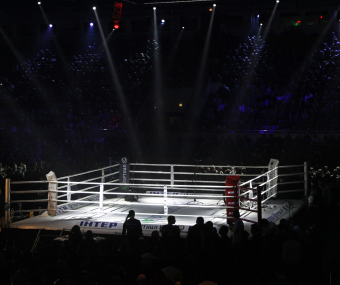 Matt H. asks: Why are boxing rings called that when they are actually square? The earliest known instances of fist fighting as a type of sport date back to around 4000 – 3000 BC, but these historical fights don’t resemble the boxing we know today. They seem to have leaned more toward the “anything goes” method of unarmed fighting. The modern form of more regimented bouts didn’t begin until the early 18th century. At this time, boxing matches had no mandated boxing ring, no gloves, no referee, and no scantily clad women announcing the next round. Spectators tended to crowd around the fighters in a roughly circular ring, which may or may not have been drawn out on the ground before the match. In 1713, Sir Thomas Parkyns described a typical match as including eye-gouging, choking, punching, head-butting and other such street fighting tactics. This all changed when Jack Broughton developed the first set of formalized rules for boxing in 1743, with the goal of making boxing more of a civilized competition. The impetus for these rules came, in part, from Broughton’s defeat of George Stevenson, who suffered severe injuries and died a few days after the pair’s fight. Saddened by the death of his competitor, Broughton wrote the “Broughton Rules” to minimize the harsher aspects of the sport, like forbidding striking below the belt, not allowing hitting a competitor when he was down and giving him 30 seconds to recover and continue the fight, lest he be declared the loser. While it has been suggested that Broughton insisted on a squared off area to replace the ring of spectators, adoption of the official roped off square boxing ring didn’t appear until about a century later. 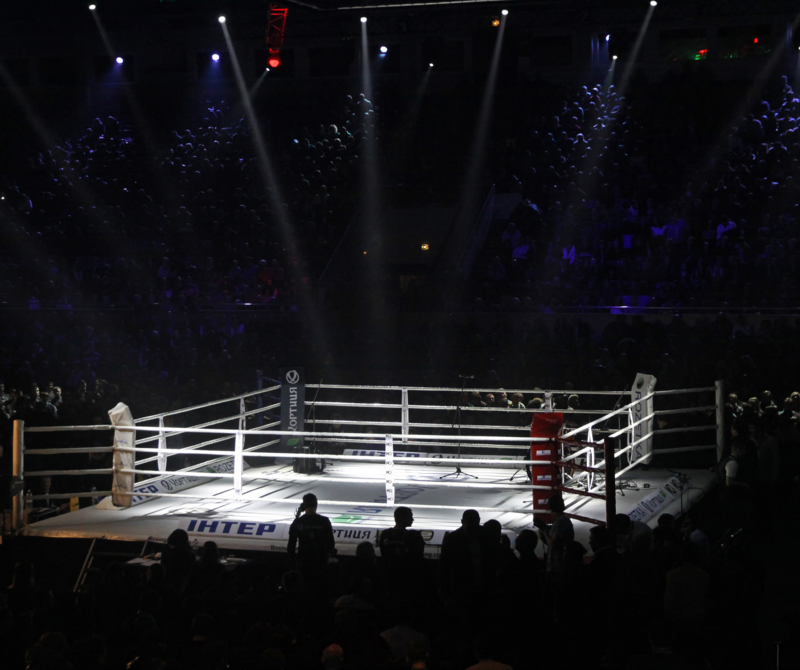 This particular innovation was designed to protect the boxers from the fans who would often get too close to the fight and occasionally interfere in the old drawn circle rings. The London Rules were further improved upon about three decades later by John Graham Chambers with his proposal in 1867 of the “Marquess of Queensberry Rules” (named in honor of boxing enthusiast John Douglas, the ninth Marquess of Queensberry) from which modern boxing rules are directly based. The primary changes from the London Rules revolved around requiring opponents to wear padded gloves, forbidding attacking and opponent with anything but one’s hands, requiring any competitor who was downed to get back up within 10 seconds or forfeit the match, and setting the rounds at three minutes with a one minute break in between. As with the London Rules, the new rules continued to refer to the roped off area as a “ring” despite its actual shape. Until the mid-1700s, boxing was mostly of the bare-fisted variety. When Jack Broughton designed boxing gloves in the mid 1700s, he introduced them at his gym as training tools to reduce injuries to boxers’ hands and faces prior to official fights. While many think that the introduction of boxing gloves made the sport safer, the opposite is true. Since the head is pretty much the hardest part of the body, punching it with a bare fist with extreme force is likely to cause damage to the fist. As such, bare-fisted fighters tended to concentrate on landing punches to softer parts of the body, thus sparing the head from being knocked around. The introduction of boxing gloves made the head a safer target to hit without causing damage to the hand. Even though a padded glove spreads the impact of the hit over a larger surface area and provides a small amount of cushion, it doesn’t spare the brain from being rattled. Why Is Boxing Ring Called A “Ring” When Its Square? I think the reason we use a square and not a circle is that the circle may be harder to construct. The square is pretty easy, 4 corner posts and some ropes is all you really need. A circle would require more posts and more work to setup. “Squared” circle, I’m pretty sure. From a Golden Gloves boxer from the 70’s and 80’s…. looking at MMA fighting.. and the beginning of Boxing, It started out as Barbaric as the Roman Gladiators!!! Kill or be Killed!! However, thank God, Compassion has caused us to evolve into a higher plain of humanity!!! Whom the Grand Creator planned for us to be!!! I never was defeated in my amateur boxing career, however, I always considered it a sport!!! I’ve only knocked out 2 opponents… and both times it scared me to death!! Thank God! That (we The masses)we have evolved ( through Love) not to take pleasure in Killing one another !! !